It’s been a while since I’ve posted anything, mainly because I’ve been so busy. It’s amazing that just when I think I have some free time, something pops up or a student is sent to me or I have to be in one of my many meetings. It’s amazing. What I’ve decided to do is make time to update my blog. I have to make a conscience effort to calendar at least an hour to blog. Otherwise, it won’t get done, and I’ll forget all the little lessons that I’m learning every day. 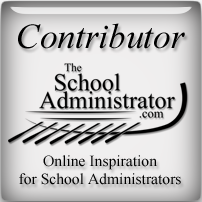 I’m also going to use this blog to document the lessons I’m learning as well as picking the brains of any experienced school administrators out there who happen to stop by my blog. I’m still enjoying my new job, but I have to admit, there are too many things I don’t know, and that frustrates me. I like to be in control of every situation, and with my inexperience as an administrator, it’s can be stressful to me. I have to keep reminding myself that I’m on a journey toward School Administration Mastery, and it’s going to be a rough beginning. Last Wednesday – October 19th. It was just me in the office. The other two administrators were at a district meeting. 1. I started distributing the end of trimester district assessments. These are tests that the district has teachers give three times a year to make sure teachers are covering the right material at the right time of the year. It’s also good practice for the students for when they take the State assessments. It fell on me to separate, package, and distribute the tests to the teachers. On this particular day, I pushed a cart with the tests bagged in plastic all around the school. 2. I made morning announcements over the intercom. 3. I had to suspend two students for fighting in the band room. That’s when the fun began. One of the students involved in the fight was a student who gets picked on a lot. When I called mom to notify her that her son was going to be suspended, she went off. She yelled at me over the phone, then came down to the school and yelled at me in my office. We had a long discussion in between her shouts, and when she left my office, it had appeared that we had come to a peaceful understanding of the situation. I was wrong. Once outside my office, she turned and started yelling at me again – right there in front of the other parents, office staff and students in the hall way. She eventually left, and ended up calling the district to complain about the incident. She felt that the school was not doing enough to protect her son from bullies. I had two more phone conversations with her that day, and they were relatively pleasant. I understood that she is a mother who wants to protect her son, and school should be a safe place for him. I promised her that I would make it a point to check in with her son on a weekly basis to make sure that he is not being bullied by anybody. This seemed to suffice. We’ll see. 4. I also had to set up for a meeting that an outside group was having on our campus for some of our parents. I had to make sure there were refreshments in the room before the parents arrived. 5. I went out to bus duty after school. In between these events, I tried to catch up on some student scheduling that needed to be done before the beginning of the next trimester. I wished that there had been another administrator in the office with me, but I think I did OK on my own. Don’t take everything personal. – I knew the angry parent was just yelling out of frustration. I knew she wasn’t blaming me. I still have to remember not to take it to heart – as the kids say. So any administrators out there: What do you do when you have a parent accusing you of doing a bad job? I think I handled the situation appropriately, but I would be interested in knowing if there are any words of wisdom from administrators who have experience in this area.